Original illustration by Jake Reeves. When I was seven years old I was raped by a neighbor and dear friend of our family. Everyone thought he was a great guy. I had no context in which to understand what had happened to me, so processing it took many years. I told no one. I grew up believing, in spite of dates here and there, that when it came to men I did not know what I was doing (one young man once asked me, exasperated, "Why are you so intimidated by me?"). I also believed that my words, thoughts and actions, in almost every realm, were without merit. Worthlessness and depression permeated my being; meaning and purpose eluded me. Eventually, I connected with my now husband, a man I'd known since childhood. 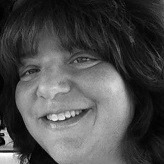 I'm now 57 and in September we'll be married 30 years. Ten years after our wedding, I gave birth to our daughter, the true light of my life. One evening years ago I received a call from my mother telling me the neighbor had died. As I drifted to sleep that night, my mind flooded with images of his face, alternating from lust to rage, lust to rage. I jolted. My husband asked what was wrong and I told him. I also told him "I know where this is going and I can't do this right now." Days later, I turned to a trusted therapist who told me it would all have to come out of me and that my body would let me know when it was ready. It took several more years for me to face what had happened, but as I journaled each day, the understanding of my feelings of worthlessness, intermingled with the memories of this man writhing atop me, not caring if I could move or even breathe, burgeoned. I finally grasped what he had done and the numerous ways it had affected my life. Slowly, I allowed a small circle of confidantes to share in my journey. Their unwavering support and compassion bolstered me. One day, when my parents were visiting, my dad remarked about several books regarding abuse he'd noticed on my bookshelf. "Did something happen to you when you were little?" he asked. Yes, I said. And then I told them. The man had been their good friend. They'd believed the facade, as I had. All along I'd worried they might not believe me and defend that facade, but I couldn't have been more wrong. They listened thoughtfully and stood staunchly by my side. Mom told me after dad died years later that he had cried every day about what happened. To this day that brings a tear to my eye. It is never just the child who suffers from child sexual abuse. Family and community are never the same either. In the wake of all my newfound awareness, I sought resources for survivors of child sexual abuse. Online one day, I came across Darkness To Light and was riveted. The organization's mission to educate adults on preventing and responding appropriately to abuse resonated with me. On a beautiful October day in 2006 I became a facilitator for D2L's prevention training, then brought the program to my community. I went on to become an instructor, training the trainers, eventually heading up the prevention effort at our local YMCA. It is the rare training I lead where someone doesn't share with me their own survivor story -- sometimes for the first time -- or that of someone near and dear to them. I also wrote a children's book about trusting and telling. A small, self-published effort, the words had come easily, but I grappled again with issues of confidence and self-worth. 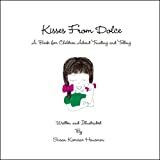 Support from those around me -- especially my husband and daughter -- buoyed me and eventually the book, "Kisses From Dolce: A Book for Children About Trusting and Telling," was published and released in 2009. There were readings and speaking events with children, therapists, teachers, and parents. I heard from people all over the world. So many opportunities unfolded, but one moment in particular stood out. After one event, a young girl who'd stood in line with her mom to speak with me, approached. I knew she'd been gifted a copy of my book -- and was an abuse survivor -- as her mom had given permission for a friend to obtain a book from me and to have me inscribe it. When it was her turn in line, the young girl said nothing. Instead, she reached over and hugged me ... and hugged and hugged. There were no words. None were needed. I'd always said if the book helped even just one child, it would have been worth it. It so was.